Dayap ES Annex student Markly Palares waters a newly-planted Pili sapling in front of his school. Markly Parales, an 11-year-old student of Dayap Elementary School Annex (DESA), was beaming with pride after sprinkling water on a newly-planted Pili sapling. Markly was one of the students who took part in his school’s tree-planting activity on August 26, four days ahead of National Heroes Day. Just like our national heroes, Markly pledged to help nurture the trees, which he said will help minimize flooding in their area. Also joining Markly and other DESA students were Lopez Group Foundation operations head Angela Lopez Guingona, DESA school principal Jose Evangelista, Calauan Mayor George Berris, ALKFI Programa Genio program director Maricar Estole, ALKFI Bayanijuan project manager Leah Bautista, and EDC project manager Leonardo Ablaza. 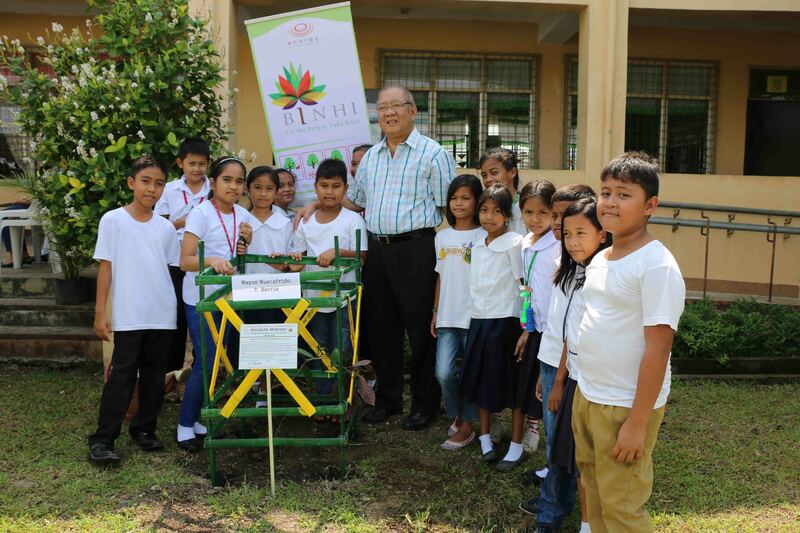 The tree-planting activity is part of Binhi, a nationwide greening program of Lopez Group chairman emeritus Oscar M. Lopez and is implemented by EDC. Binhi aims to reforest 1,000 hectares per year during the 2009-2018 period. Prime endangered species such as Bagauak-Morado, Ipil, Molave, and Supa were planted in DESA’s school grounds. Allan Barcena, ecosystems care manager of EDC, said the company, in partnership with ALKFI, will also plant trees along the main roads of Southville 7. Markly hopes that he can influence his peers in caring not only for the trees but for the whole resettlement community as well. A photo op with (L-R) Leah Bautista (BayaNiJuan sa Southville 7 Officer-in-Charge), Jose Evangelista (DESA School Principal), Engr. Jaime Goyena (MENRO), Ma. Teresa Baluyot (NHA), Leonardo Ablaza (EDC Project Manager – Leyte Rebuilding Project), Levin Berris (Calauan LGU), Tracy Peralta (BINHI), Allan Barcena (EDC), and Angela Lopez – Guingona (LGFI, Operations Head) after the ceremonial tree planting. Calauan, Laguna Mayor George Berris with students of DESA. 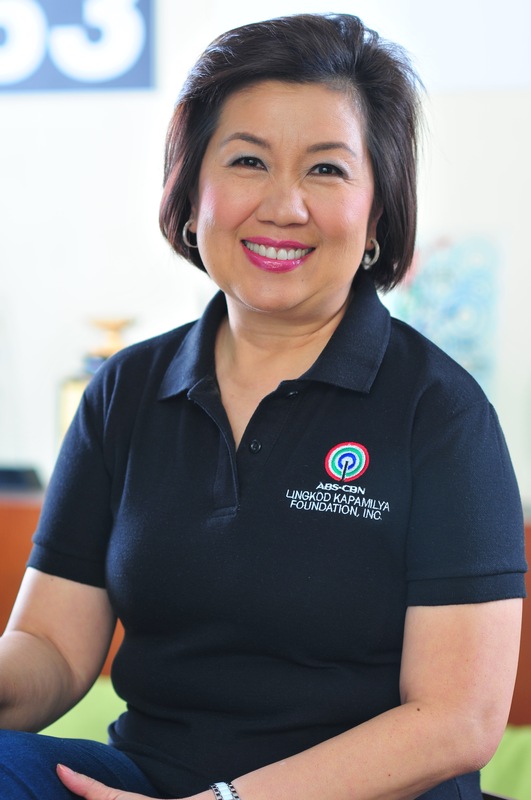 Angela Lopez – Guingona finishes putting soil to the newly planted sapling of her group. Students and teachers gracing the tree planting activity in DESA.